Industry metals melting furnaces use electromagnetic induction to convert electrical energy into thermal energy through an induction heating controller. Ultra high, medium and high frequency solid state induction power supplies for melting brazing,hardening,forging and heating conductor material. 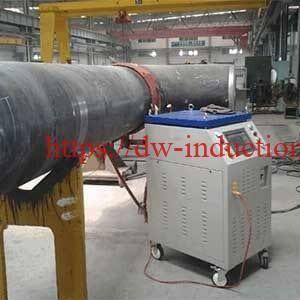 Induction PWHT Machine is used for preheat welding pipeline,post weld heat treatment,heating pipeline coating,welding stress relieving,shrink fitting,etc. 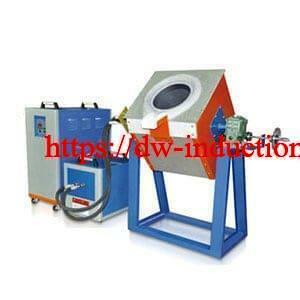 induction forging furnace is a set of semi or full automove forge machine to pre-heat metals prior to deformation using a press or hammer for increasing their malleability and aid flow in the forging die. 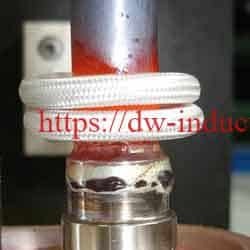 Induction brazing is the introduction of electromagnetic fields into metallic bodies in order to heat joints between components and melting an alloy with a lower melting temperature than the component parts. 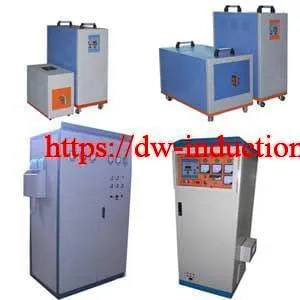 The premier small IGBT melting furnace manufacturer specializes in aluminum melting furnace,copper melting machine,gold melting furnace,steel iron smelting,metals melting furnace,etc. 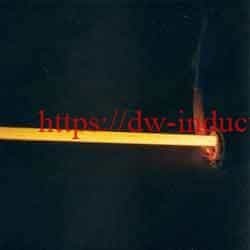 Induction brazing is a process in which more materials are joined together by a filler metal that has a lower melting point than the base materials using induction heating. 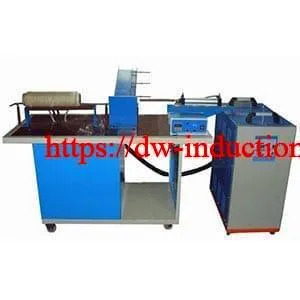 Induction Annealing is a metal heating treatment in which a metal material is exposed to an elevated temperature for an extended time and then slowly cooled. 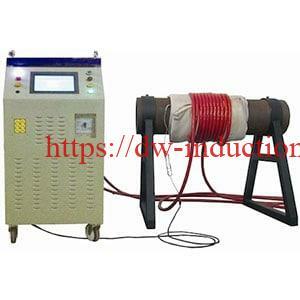 Induction heating is a form of non-contact heating for conductive materials, when alternating current flows in the induced coil, varying electromagnetic field is set up around the coil, circulating current(induced, current, eddy current) is generated in the workpiece (conductive material), heat is pro duced as the eddy current flows against the resitivity of the material. Induction heating is a rapid ,clean, non-polluting heating form which can be used to heat metals or change the conductive material’s properties. 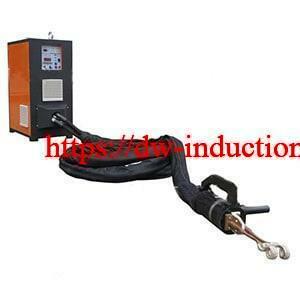 The coil itself does not get hot and the heating effect is under controlled. 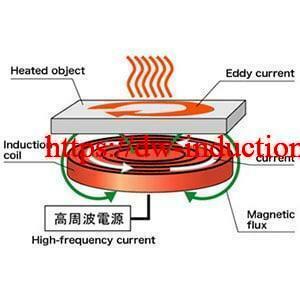 The solid state transistor technology has made induction heating much easier,cost-effective heating for applications including soldering and induction brazing ,induction heat treating, induction melting,induction forging etc.